I've been having a lot of fun filming card-making videos lately. If you haven't checked out my YouTube channel, then take a look! 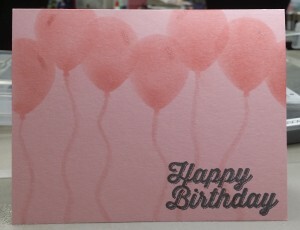 Here is a video I made yesterday using the stamp sets Circle Circus and Thank You Kindly to make a one-layer card. Quick & easy!